Lovely Fluorite tumblestones, sold in a few sizes. These are ‘rainbow’ Fluorite – a banded mixture of colours. 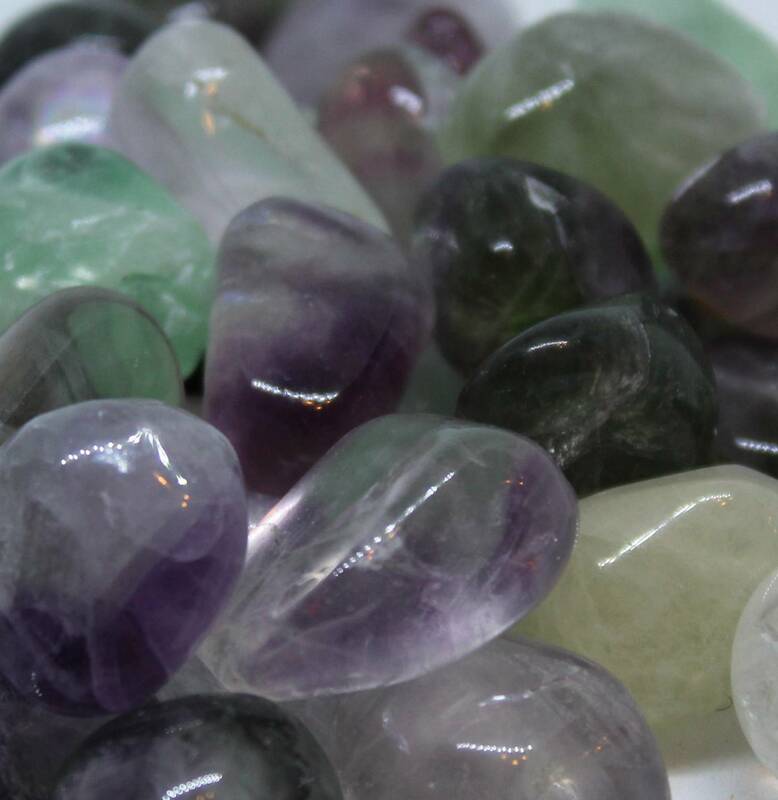 Beautiful small tumbled green and purple Fluorite tumblestones. 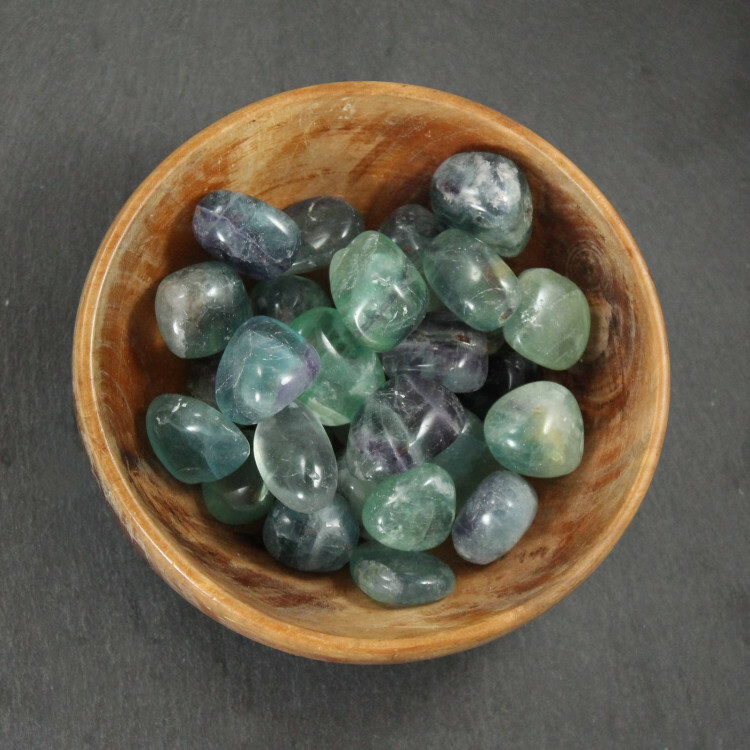 These tumblestones are a good mix of common Fluorite colours – white, green, purple, etc. Make sure to check out the images to get a good idea of their grade and colours. They’d look great in a small vase with a plant, or decorating plant pots, etc, as well as looking great in a fish tank or similar. 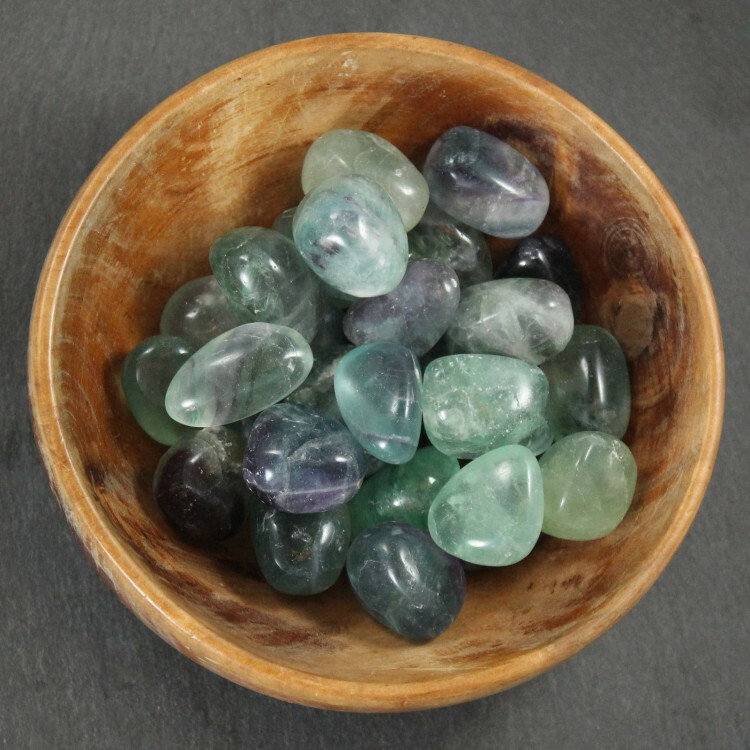 We also sell Fluorite tumblestones in only green, if you’re not a big fan of mixed colours. 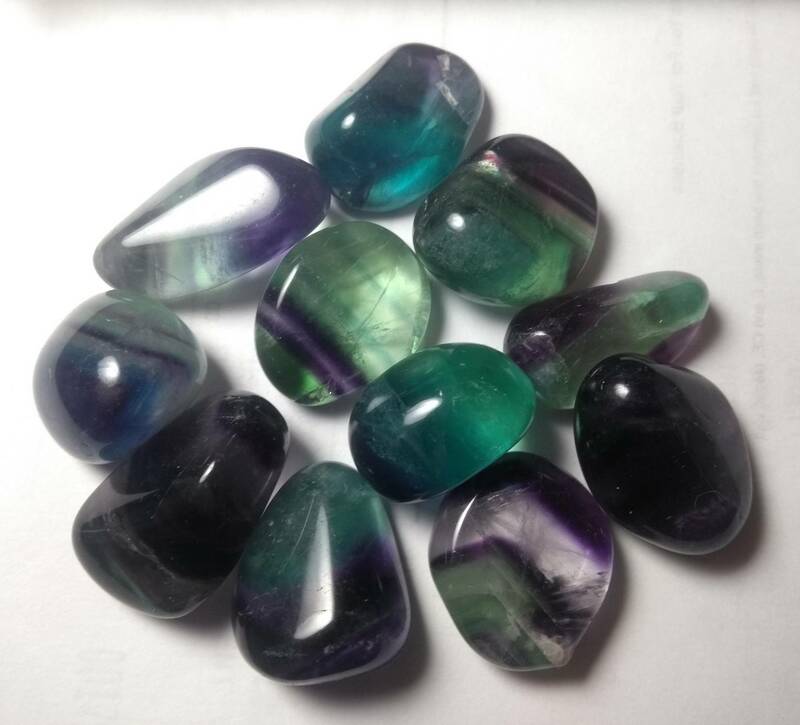 For more information about the Fluorite mineral, and a list of all our related products, please check our main Fluorite page. 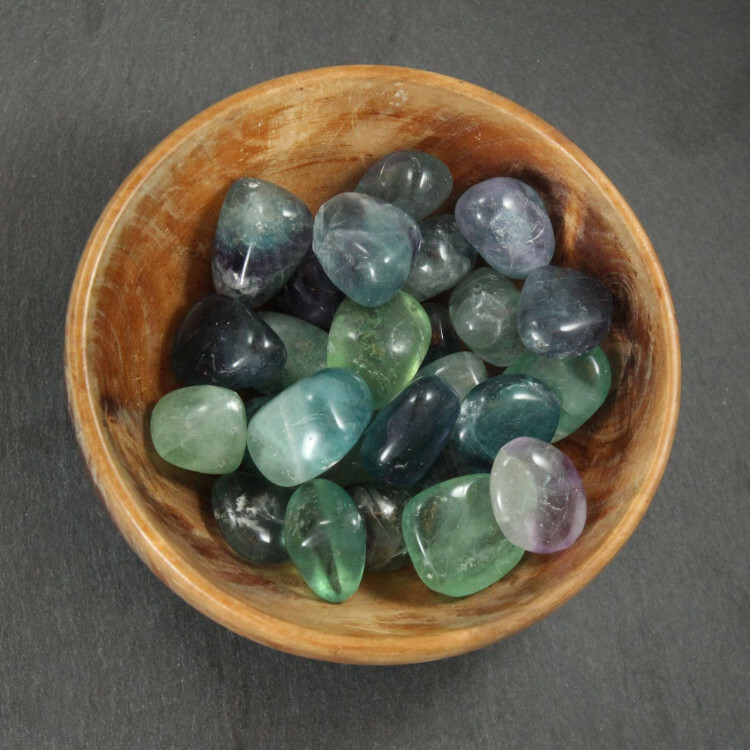 We don’t just sell tumbled Fluorite – we stock hundreds of different tumblestones.